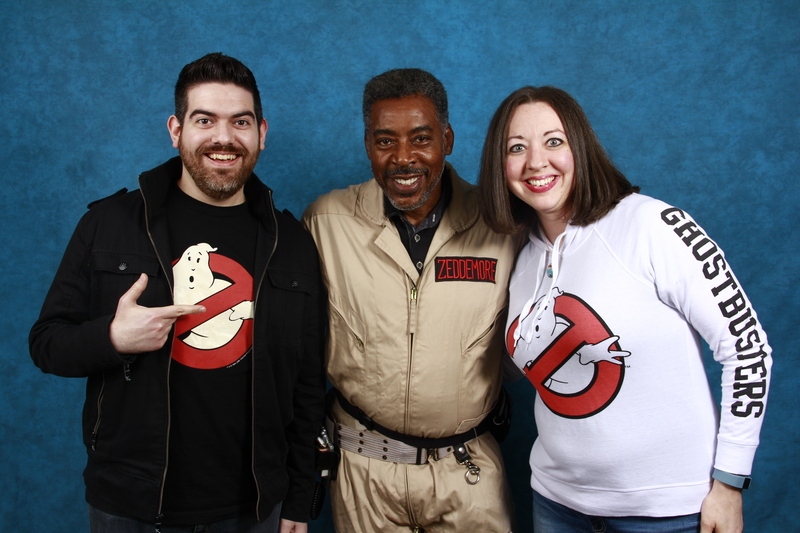 The main selling point of going to Chiller on my birthday was to meet an original Ghostbuster himself, Ernie Hudson. The original movie is my favorite film of all-time and has been a favorite since I was quite young. 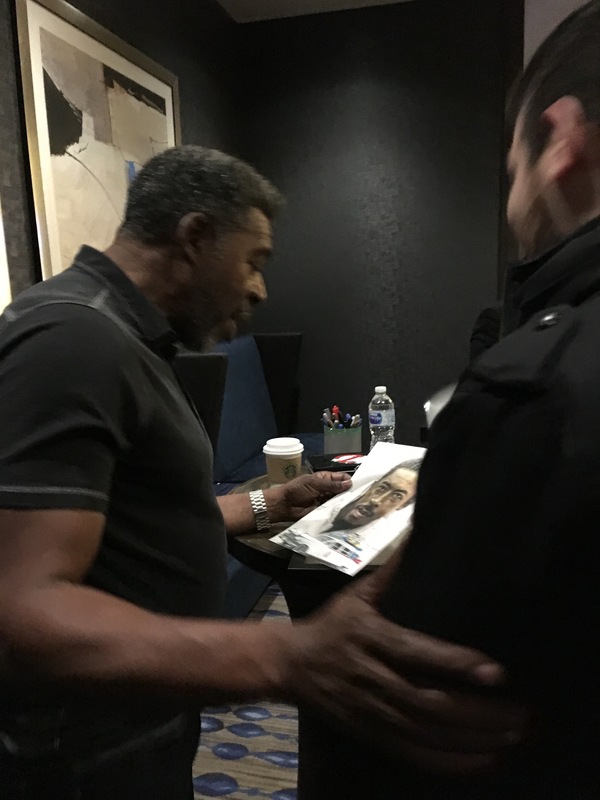 To meet Ernie was a real treat! To make the day extra special, Chiller is held at a Hilton hotel that my grandparents used to gather the entire family at for special occasions, like Father’s Day. So I spent many fun days running around the hotel halls with my cousins. Now, decades later — after having not been to that hotel since I was very young – it was taking on new significance. 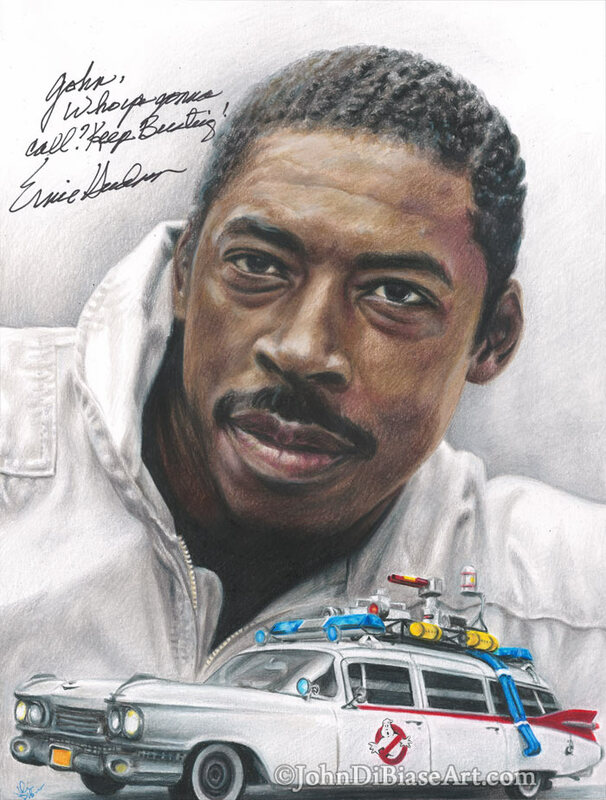 Previous Colored Pencil Steven Weber and Tim Daly from TV’s “Wings” Colored Pencil Drawing – Autographed!